Divorce is a gut-wrenching, highly stressful, life-altering situation to have to go through – to say the least. No matter who you are, how beautiful, how rich, or how famous you might be, nobody is immune to the overwhelming emotions and pain that a divorce can cause. Being a celebrity with every aspect of your life under scrutiny probably makes things even worse. 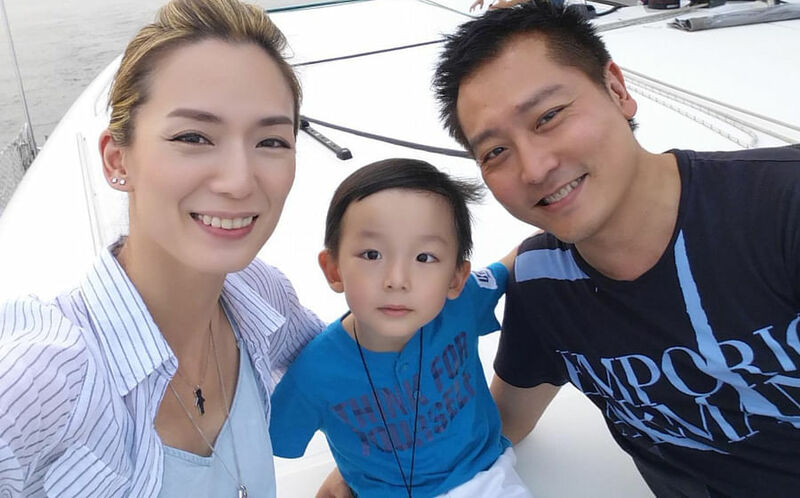 Perhaps no one knows this better than local celebrity Jacelyn Tay who recently (November 18) announced on social media that she is calling it quits with her husband of eight years, Brian Wong. They have a seven-year-old son, Zavier. The 43-year-old actress and founder of wellness centre Body Inc wrote that she was “at the final stage of divorce proceedings” and acknowledged that “many may be shocked” by the news. Indeed, the announcement may come as a surprise to many as the couple appeared to be the picture of domestic bliss. In fact, shortly before she announced her split, Jacelyn posted a clip to Instagram to celebrate her son’s academic achievements. Jacelyn did not reveal the reason for the divorce. She said in an Instagram post, "I do not think I owe anyone the reason for divorce except to my son. Even if you guys know, you can't help or change anything for us." In the same post, she shared a photo of herself sending her son off at the airport for his vacation in Europe with his father. The actress ended her post by assuring her followers that her and her son are doing fine and asked for the support of her fans. We hate to see the breakup of a marriage – especially one that lasted for eight years. But in it all, here are four lessons we can take away from Jacelyn’s divorce. Perhaps one of most important lessons from Jacelyn and Brian’s breakup is that divorce can make all of us vulnerable and is soul crushing for everyone, even celebrities. When you get married, you give your life to someone and they become a part of you. When things don’t work out, it can affect your self-worth. No amount of fame or fortune can make a person immune from that pain. If you’re struggling with self-doubt after your own split, just remind yourself that this is a human experience that millions of people – even some of the very famous one – deal with. In 2017 alone, 7,614 Singaporean couples filed for divorce. There will most certainly be talk about why your marriage came to an end. But talking about your ex and things you can’t stand about him will only make you more vulnerable to gossip and frankly make your acquaintances uncomfortable. Oversharing won’t serve anyone, mostly you. As Jacelyn rightly mentioned in her Instagram post, you don’t owe anyone an explanation of why your marriage came to an end (perhaps with the exception of those who are directly affected like your kids). You can share the whole story with people you love and trust like your mum and attorney but it’s definitely not wise or beneficial to have your story as public knowledge. As the saying goes, don't air your dirty laundry in public. From Jacelyn’s post, it’s clear that her son is her primary concern in this divorce. While it’s not healthy for a couple to stay together just for the kids, children should most definitely be considered in the decision making process. Jacelyn’s latest Instagram post of her son’s trip with her ex-husband is indication of her commitment to maintain an amicable relationship with Brian. We are certain that her efforts will surely make for a smooth transition for Zavier. We wish Jacelyn and her son nothing but the best!